Stafford Lacrosse Association offers two programs in the spring: Local Recreation and the Northern Virginia Youth Lacrosse League (NVYLL). Please see the information on both below. 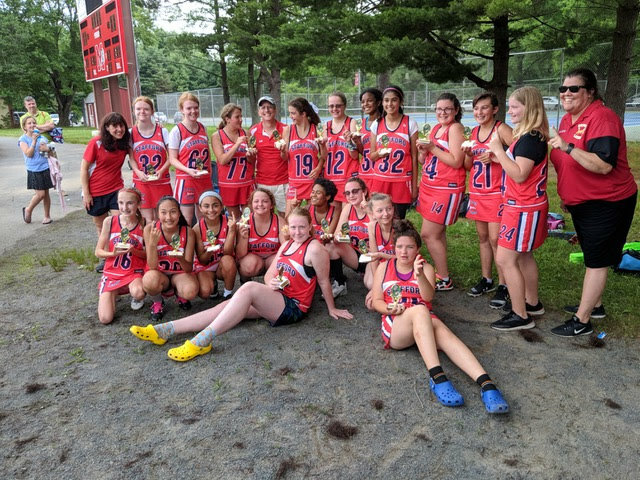 The Stafford Lacrosse Association Local Recreation Programs feature small-sided teams, instruction, practice, coaching, and games following the U.S. Lacrosse Athlete Development Model (LADM). The local recreation season will begin on March 2 March 9 (kick-off) opening day with practices starting March 10 and run through May 18. Practices will occur in Stafford County, and your daughter's coach(es) will determine the practice times at the start of the season. For planning purposes, local recreation teams will practice 2 times a week, and practices will start no earlier than 5:30pm on Monday through Friday. Saturday will be blocked off as game days for local recreation athletes. Games will begin April 6, 2019. You are required to order your daughter's uniform. For local recreation athletes, only a reversible jersey is required. You will receive an email at a later date with uniform ordering information. Please consider volunteering and helping Stafford lacrosse grow. If we do not have enough coaches we will be forced to cancel the season at that age group. If you are new to the sport, do not worry! We have programs that will help you learn with your daughter. The Stafford Lacrosse Association (SLA) is a member of the Northern Virginia Youth Lacrosse League (NVYLL). The purpose of NVYLL is to provide the youth residing within the geographical boundaries of northern Virginia a healthful, enjoyable leisure time activity and as a corollary to develop qualities that may help them in later life, sportsmanship, team play, and integrity. Depending on field or county facility availability, NVYLL athletes will have the opportunity to practice individual skills throughout January. The NVYLL season will begin on February 9 and run through June 9. Practices will occur in Stafford County, and your daughter's coach(es) will determine the practice times at the start of the season. For planning purposes, NVYLL teams will practice up to 3 times a week, and practices will start no earlier than 5:30 pm on Monday through Friday. Practices can also occur on Saturday and will start no earlier than 1:00 pm. Sundays will be blocked off as game days for NVYLL athletes. You are responsible for ordering your daughter's uniform. You will receive uniform ordering information in a later email, and uniform ordering details will be posted to the SLA website. All NVYLL athletes are required to purchase a reversible jersey, skirt, or shorts.